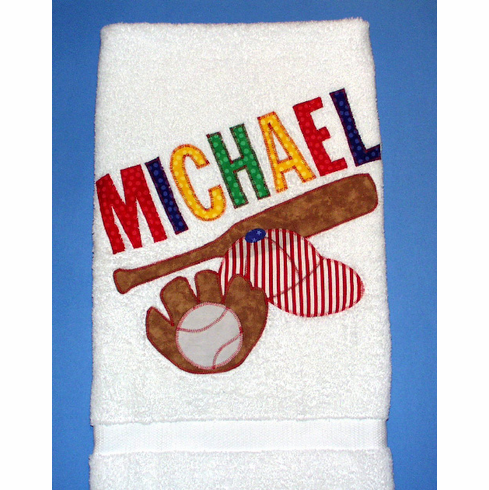 These 27" x 53" oversized bath towels come personalized with one name, up to 10 characters in blue, red, green, pink or multi-color. Very plush white 100% cotton. Cotton appliques are sewn on in the USA. Washing machine and dryer friendly. Gift wrapping not available - please allow 3-4 weeks for shipping.